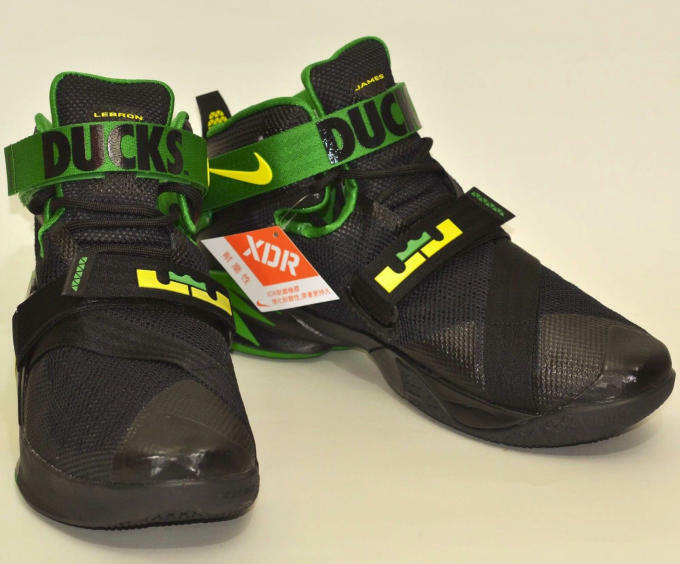 Following news that Nike will drop Zoom LeBron Soldier 9 PEs for the Kentucky Wildcats and Ohio State Buckeyes comes some exciting news about another Swoosh-sponsored university. 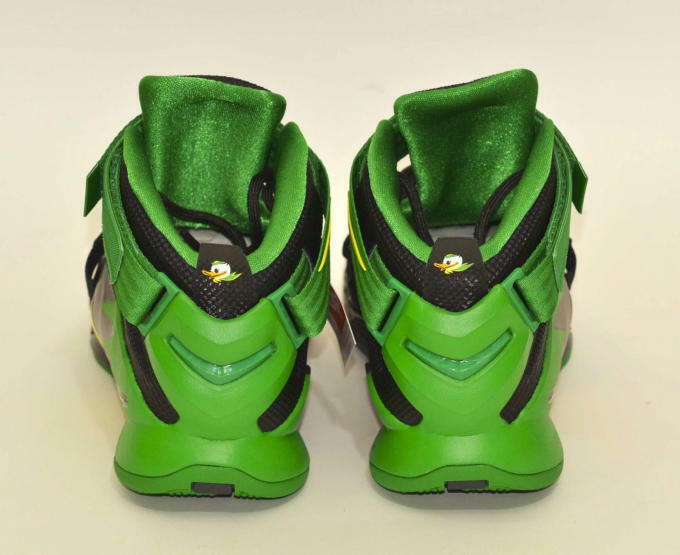 NikeBlog spotted these "Oregon Ducks" Zoom LeBron Soldier 9 PEs on eBay, and it looks like will be one of the rare occurrences where an Oregon PE releases to the public. 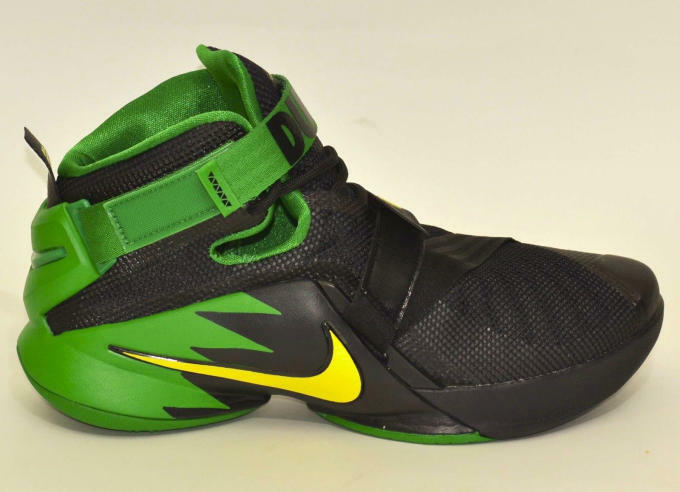 The images depict a black-based LeBron Soldier 9 that shifts to green around the heel and is accented with hits of yellow. 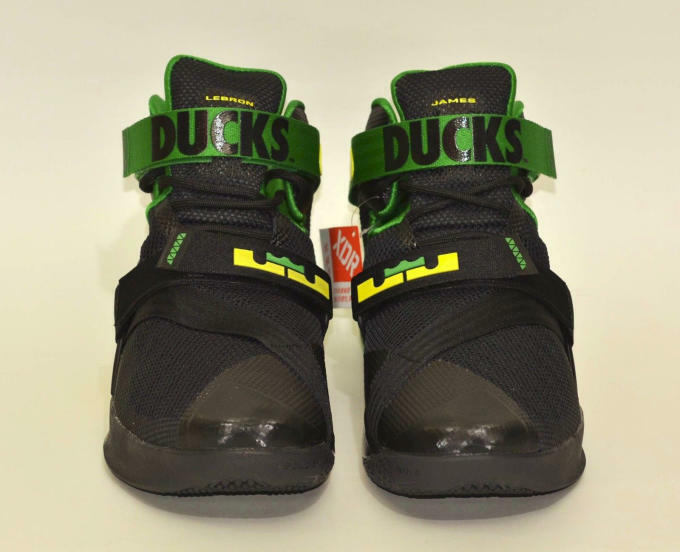 Ducks branding appears on each ankle strap, while the team&apos;s mascot shows up on the heel tab. 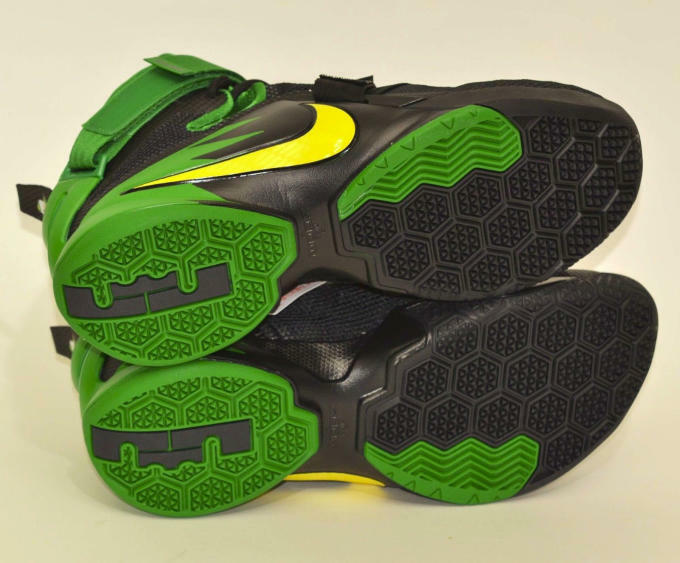 Technically, the pair pictured is a China-exclusive EP version with an XDR outsole, but according to NikeBlog, this is the exact same sneaker that will drop stateside, just without the blacktop-ready outsole. 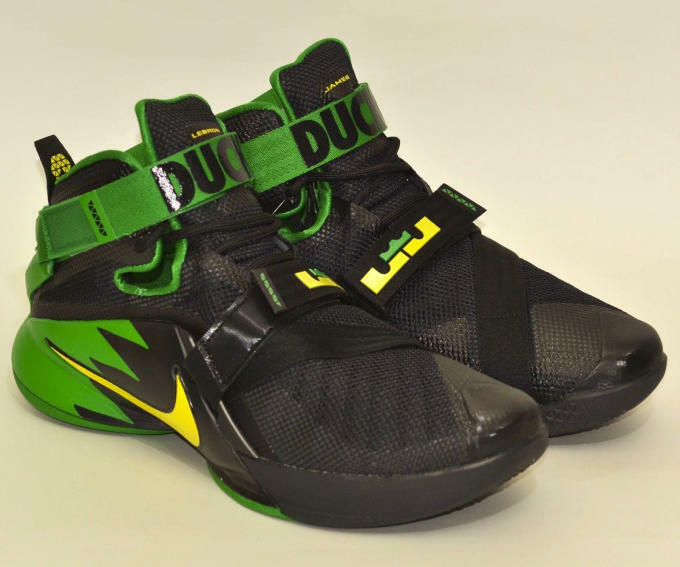 If you were salty that you couldn&apos;t cop the white "Oregon Ducks" Soldier 9 PEs back in November, this news should come as a pleasant surprise. 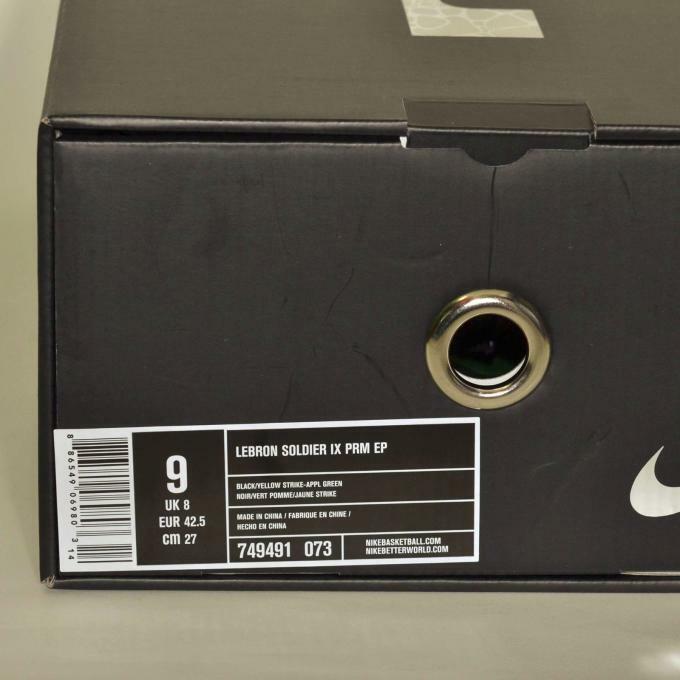 Stay tuned for the official release details on these.